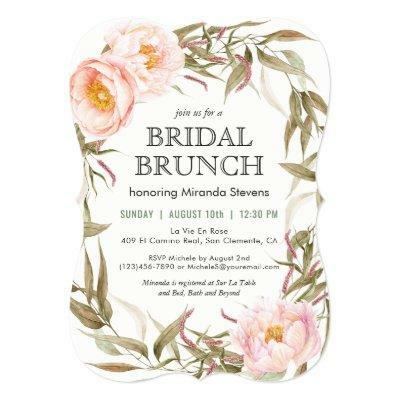 A lovely floral wreath of leafy greenery and pink peonies surrounds your text with stylish flair in this Bridal Brunch invitation. All of the text may be edited, so you can use this invitation for other events as well. Shown here with a feminine die-cut shape, you can select from a variety of other card shapes and paper types.